In 1898, the development of Cuba was basically the western portion of the island, the then existing railroad extended eastward only to Santa Clara, about 180 miles east of Havana. East of Santa Clara laid approximately 70% of the total area of the island. The purpose of incorporating the Cuba Company was to participate in the reconstruction of Cuba post-war effort by building a 350-mile central railroad from Santa Clara to Santiago de Cuba. 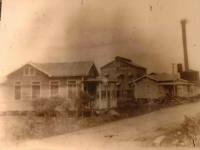 The Cuba Company was incorporated in New jersey on April 25, 1900. Its list of incorporators read like a Who’s Who directory of that era and included William Cornelius Van Horne (1843-1915), former president of the Canadian Pacific Railroad; Levi P. Morton , president of Morton Trust Co. and former governor of NY; Maj. Gen. Greenville M. Dodge & E. H. Herman, of the Union Pacific Railroad; William Rufus Day , US Secretary of State & Supreme Court Justice; Henry M. Flagler , Standard Oil president and Florida railroad builder; John William McKay , president of Commercial Cable Co.; James Jerome Hill , CEO of Great Northern Railway; Edward Henry Harriman , Chairman of the Union Pacific Railroad; Henry G. & William C. Whitney, Thomas F. Ryan, P. A. B. Widener & W. L. Elkins of the W. C. Whitney tobacco syndicate; Edward Julius Berwind , coal magnate; Henry Walters , chairman of Atlantic Coast Railroad; Charles D. Barney , founder of the Smith Barney investment firm; Thomas Fortune Ryan , of the Seaboard Air Line Railroad; T. Sanford Beatty and Harry Terry. 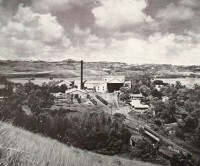 The Cuba Co. first interest in acquiring a sugar mill was Rionda's Tiunucú, however, this did not happen. It then issued $4 million in bonds to finance the construction of two new sugar mills of its own; Jatibonico in Camaguey which began production in 1906 and Jobado in the Oriente province.